My wife is a really big sports fan. I know, I scored right? So when I told her we would be going to the ESPY Awards, I’m pretty sure she was more excited than me. We met in LA and got to the show right as they were closing the doors. Rob Riggle was very entertaining as the host and the reason it is one of my favorite shows is because ESPN does a great job of sharing the fun, excitement and emotion of sports during the evening. As fun as the show was, the real fun came afterwards at the after party. This is one of my favorite events of the year as you will see just about ever athlete under the sun and they are all in great spirits. 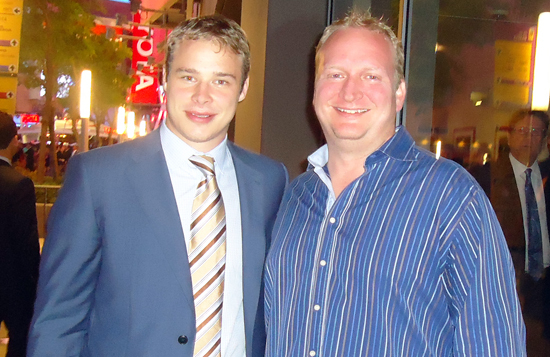 Meeting Stanley Cup Champion Dustin Brown was a particular thrill to start off the evening. 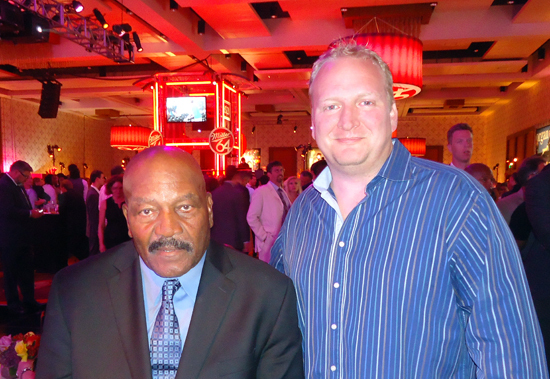 Jim Brown was absolutely thrilled to meet me. Alright, maybe not really, but come on, it’s Jim freaking Brown. How cool is that? 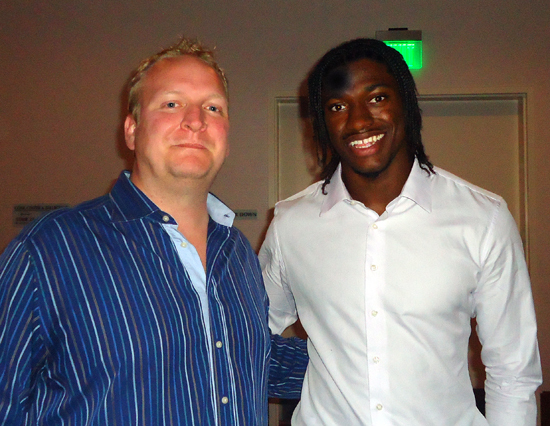 RG3 couldn’t have been more nice. I hope he has a great year in Washington. I shook former Alabama running back Trent Richardson’s hand and it felt funny. 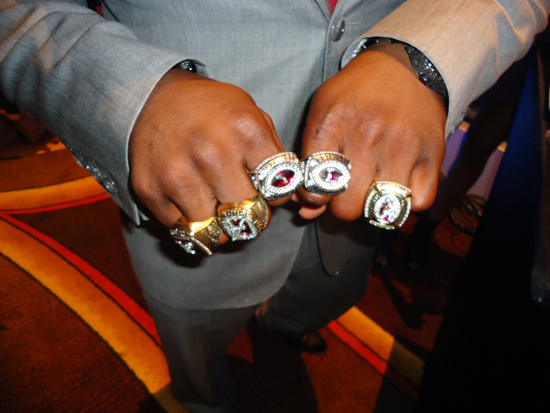 He was wearing a stunning array of rings. Check out his bling! 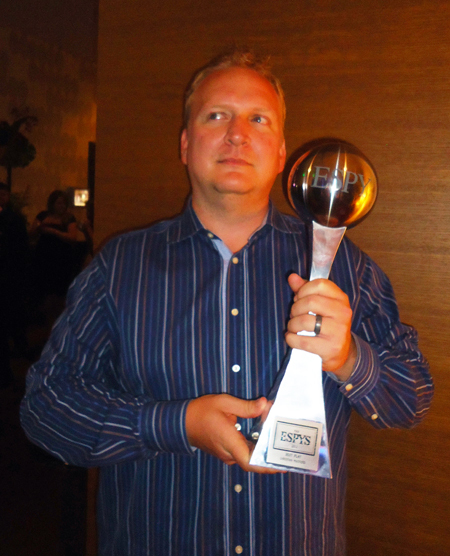 One of the athletes even let me live out a fantasy as he let me enjoy his ESPY award for a bit. We had two highlights that evening. 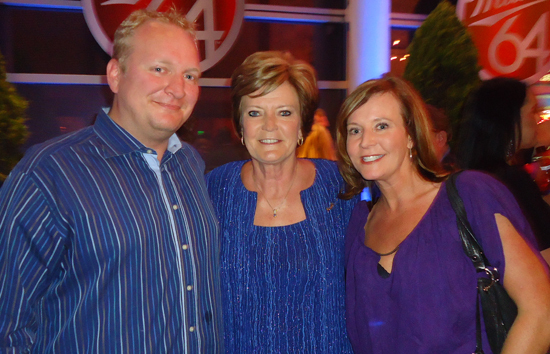 First was meeting former Tennessee Volunteers coach Pat Summit. I knew she had stepped down, but didn’t fully understand why. She is suffering from the early onset of Alzheimer’s disease. This is a woman who has won over 1,000 college basketball games and who had every young woman she ever coached graduate, a true legend. And now she is battling the toughest challenge of her life. My grandmother had Alzheimer’s disease so as they shared her story during the show it hit close to home for me. When I saw her at the after party I just gave her a hug. I wish her all the best and am so appreciative she has been so public to help raise awareness for this crippling disease. I very much admire the courage Pat Summit has in facing her disease head on. 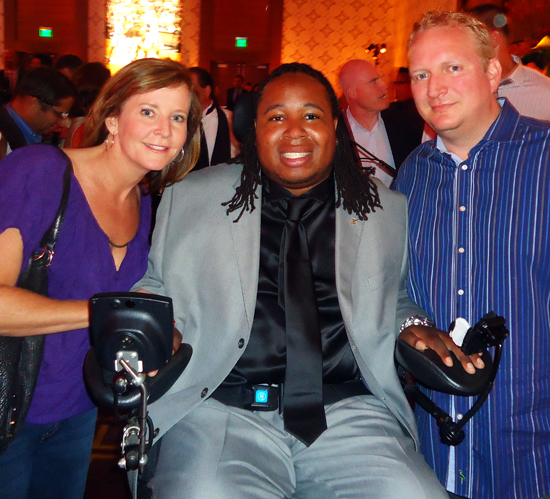 The next highlight was meeting Eric LeGrand. Eric is the Rutgers Football player who was tragically paralyzed during a game. For more on his story, click HERE. I don’t know much, but I am supremely confident he will walk again on his own. He is truly an inspiration. Eric LeGrand will walk again. Mark my words, he will walk again! At the end of the night we were treated to a concert by Lauryn Hill and she blew the roof off the place. It was a memorable evening we will not soon forget. Thanks ESPN! 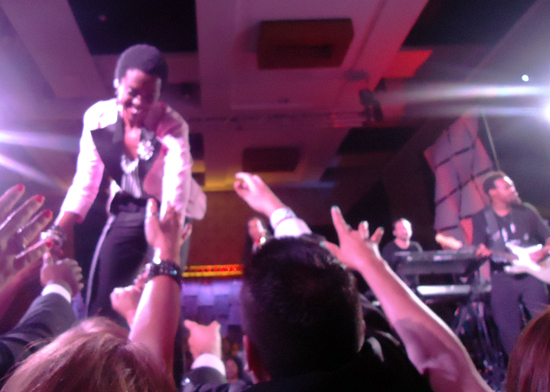 Lauryn Hill had an epic performance at the ESPY Awards post party. Upper Deck is Ready to Rock Cleveland at the 2018 National Sports Collectors Convention!